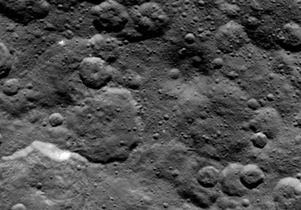 The first images of Ceres from the Dawn mission reveal a surface filled with craters of many shapes and sizes. A NASA mission led by UCLA professor Christopher Russell has released new images of the dwarf planet Ceres, the largest asteroid between Mars and Jupiter. 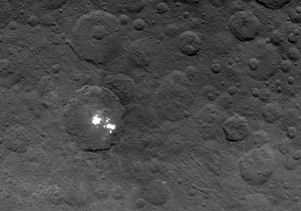 Dawn’s visit to Ceres, which is scheduled to last more than a year, began on March 6. From July 2011 to September 2012, it observed Vesta, a “minor planet” that is the second most massive body in the asteroid belt between Mars and Jupiter. Over the years, scientists have learned about the conditions at the beginning of the solar system by studying meteorites from Vesta that have fallen to Earth. There have been no such meteorites produced by Ceres, an indication that the two bodies are likely very different. For example, Dawn found little evidence to indicate there is water on Vesta. 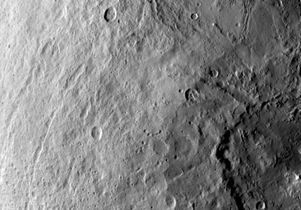 But Russell said Ceres could have a substantial amount of water or ice beneath its rocky crust. The presence of water, he said, could “affect the time for relaxation of craters and mountains on Ceres and reduce the height of the topography compared to Vesta, and will affect minerals on the surface.” Russell also said Ceres, unlike Vesta, might have a weak atmosphere and perhaps even life. Scientists expect the mission to provide insights about Ceres’ shape, size, composition, internal structure, and tectonic and thermal evolution. 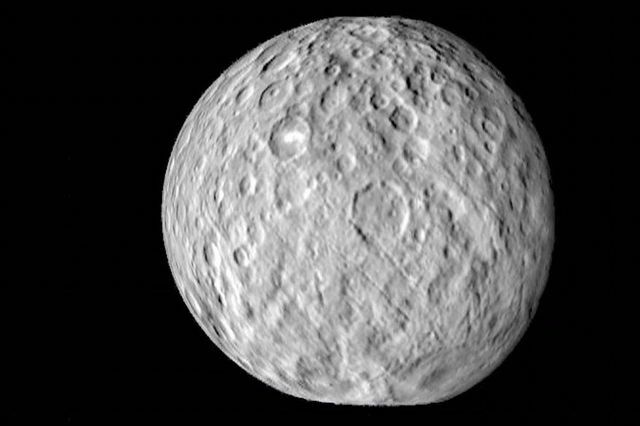 The findings also should provide new understanding about the conditions under which Ceres and Vesta were formed. 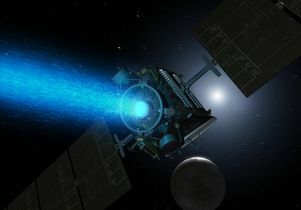 Dawn is powered by an advanced NASA technology known as ion propulsion that enables it to use fuel more than 10 times more efficiently than standard rockets. It is outfitted with two high-resolution cameras (including one backup), a visible and near-infrared mapping spectrometer to identify minerals on the surface, and a gamma ray and neutron spectrometer, which will be used to reveal the presence of elements such as iron and hydrogen in the soil. NASA has reported that Dawn’s price tag — including the construction and launch of the space craft and 10 years of operations — is $472 million. 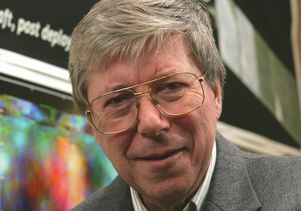 Russell said the Dawn mission is actually very cost-efficient compared with other means of space exploration. 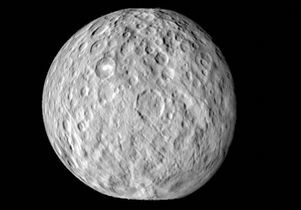 Separate missions to Ceres and Vesta would likely have cost more than double that amount. Russell and his team are in charge of Dawn’s scientific research — with the lead role in analyzing and interpreting data from the space craft — and public outreach. In 2014, they received the Trophy for Current Achievement, the National Air and Space Museum’s highest honor in the fields of aerospace science and technology. “The Dawn flight team and the Dawn science team are high achievers, but the spacecraft itself is the highest achiever,” Russell said. The Dawn mission is managed by NASA’s Jet Propulsion Laboratory, a division of Caltech, for the agency’s Science Mission Directorate. 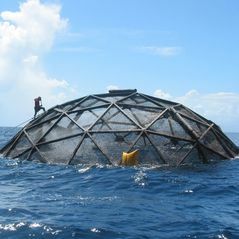 Team members include scientists from JPL, the NASA Goddard Space Flight Center, the Planetary Science Institute, the Massachusetts Institute of Technology and other institutions. 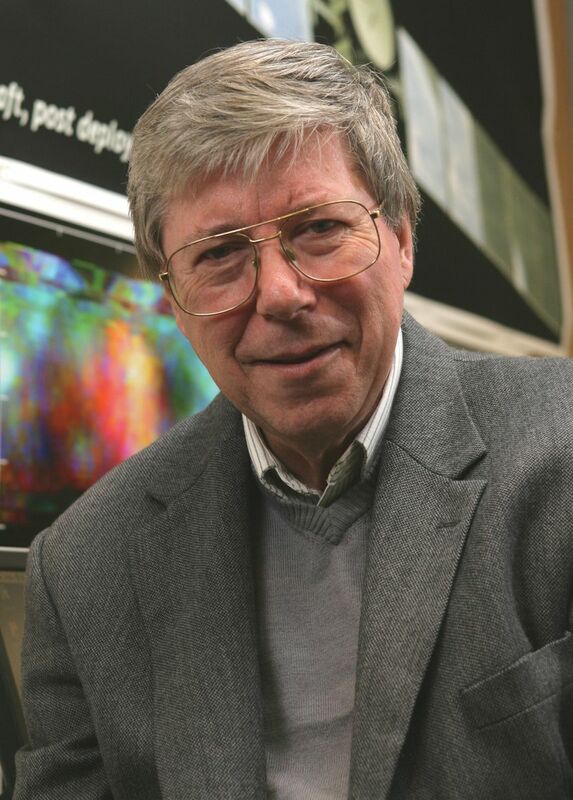 The mission’s international partners include the Max Planck Institute for Solar System Research in Gottingen, Germany, the DLR Institute for Planetary Research in Berlin, the Freie Universitaet of Berlin, the Italian National Institute for Astrophysics in Rome, and the Italian Space Agency.